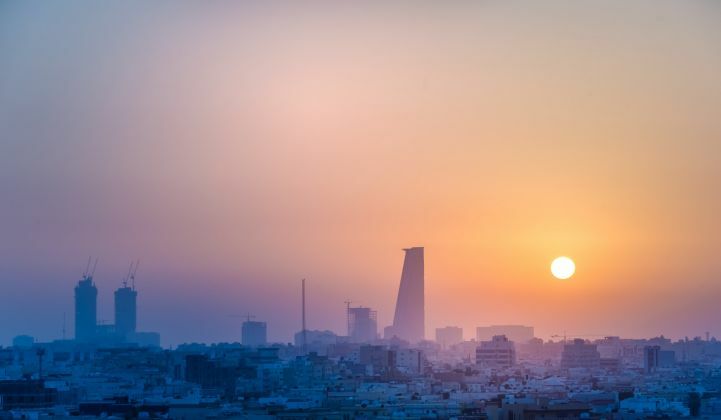 The sun sets on another Saudi Arabian solar megaproject. Renewables developers eyeing Saudi Arabia remain wary of the market following the news that the world’s biggest solar project has been canceled. The $200 billion, 200-gigawatt solar plant planned by SoftBank and the Saudi Public Investment Fund had raised skepticism among developers when it was announced in March, partly because of technical concerns over how it might be integrated into the grid. The main worry, though, was that the megaproject appeared to have been approved independently of plans for an orderly ramp-up of solar through a tender program managed by the Saudi Renewable Energy Project Development Office (REPDO). Soon after the SoftBank agreement was unveiled, it emerged that top officials in the kingdom had been excluded from negotiations, adding further uncertainty. Given the haphazard way in which the deal was brokered — and the fact that the Saudi state and SoftBank had both previously announced plans for massive solar investments that had been canceled — last week’s news came as no surprise. He said the project never got beyond an initial feasibility study. According to The Wall Street Journal, the announcement of the freeze was greeted with relief by Saudi energy officials. “Everyone is just hoping this whole idea would just die,” one said. Although the SoftBank project was widely viewed as being doomed from the start, the cancellation is a further blow to the Saudi solar market. In 2013, for example, the nation’s King Abdullah City for Atomic and Renewable Energy set a target of installing 16 gigawatts of PV by 2032. By 2015, the target had gone up to 41 gigawatts, including concentrated solar power, but had been pushed back to 2040. As of last year, though, Saudi Arabia had installed only 50 megawatts of PV. Before the SoftBank announcement, REPDO had begun to instill a measure of confidence in the market through a series of National Renewable Energy Program (NREP) tenders. The first of these saw 300 megawatts of solar being awarded to ACWA Power. REPDO was due to issue a second solar tender this year, for 3.3 gigawatts of PV. So far, however, the only tender to come out of the Office in 2018 has been for a $500 million, 400-megawatt wind farm. REPDO said it received four bids in July and committed to picking a winner in December. The WSJ said Saudi officials are now working on a revised strategy, which should be unveiled at an investor conference called the Future Investment Initiative 2018, happening in late October in Riyadh. Developers and investors will most likely be hoping to see REPDO back in charge of proceedings. “REPDO's leadership in the NREP Round I tender last year was generally very good,” Attia said. Until then, he said, there is still no indication on how the SoftBank memorandum of understanding that has now been sidelined might affect the Round II tenders that were due this year. That’s if the announcement actually takes place as planned, of course. In the stop-start world of Saudi solar, developers and investors are learning to take nothing for granted.